Wow, 15 years! Its hard to believe that we are celebrating our magazine’s 15th anniversary- our very own quinceañera. Time to put on a dress and dust off the memories! Who would have imagined, that fateful day 15 years ago when we looked at each other and said “lets do it!”, the incredible adventure ahead of us. Like all good adventures, ours has had its share of surprises, challenges and gifts. Our unexpected treasure has been love. For a place of wide, heart stopping landscapes, purple mountains, blue sea. 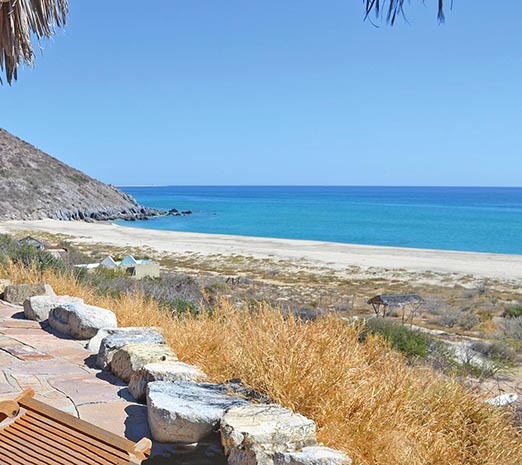 We’ve been in many beautiful homes, gazed upon amazing views and cheered Cabo’s development milestones: the Puerto Paraiso mall, Costco, the San Jose marina, the paved highway to Todos Santos. The homes we remember best are not the biggest or the flashiest, but ones with strong design, a coherent vision or a particular feeling. 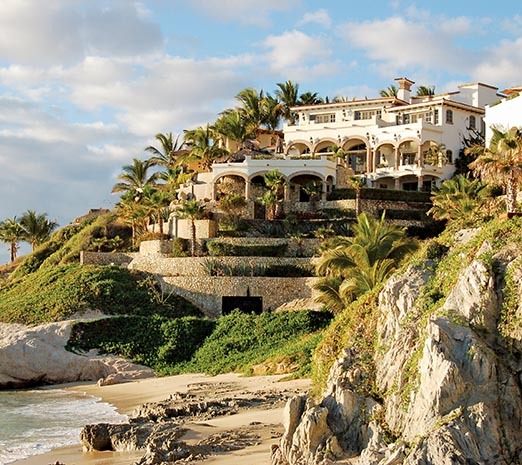 For example, of all the great oceanfront houses we have seen and photographed over the years, we remember in particular Casa Playa, our cover house for the Winter 2007 issue: 6 bedrooms, 6.5 baths, on a rocky point in Caleta, Palmilla. Its ocean facing façade is magnificent. We love how it cascades down to a private beach cove in a series of graceful, undulating stone terraces. How the whole house assertively commands its entire cliff side location yet manages an elegant, old world feel with arches, porticos, white walls and palm trees. A vivid memory was walking down a long, narrow hallway in Casa Luca, feeling like I was in an Italian country villa, and seeing, in a side room, a housekeeper in a white uniform ironing sheets with an ironing mangle. It could have been a scene from a Vermeer painting. I didn’t know what an ironing mangle was, but when it was explained to me, I was impressed. Imagine slipping into freshly ironed sheets every night! 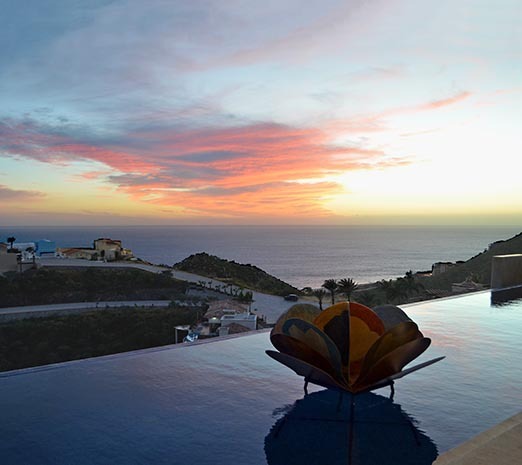 We revisited this charming Pedregal home recently and I was happy to see that it hasn’t changed much. 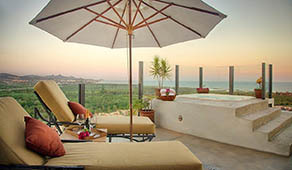 It still has one of the prettiest patios, overlooking the ocean, festooned with bougainvillea growing over its walls and framing its windows. Antique wood beam ceilings, vintage chandeliers, tapestries and candelabra give the interior an authentic, old Italian farmhouse look. 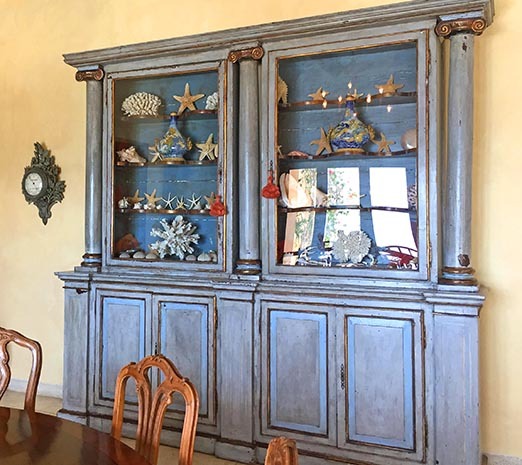 One of my favorite pieces, a rustic, blue painted wooden sideboard displaying coral and starfish was still there, as was the famous ironing mangle, tucked away in the laundry room. 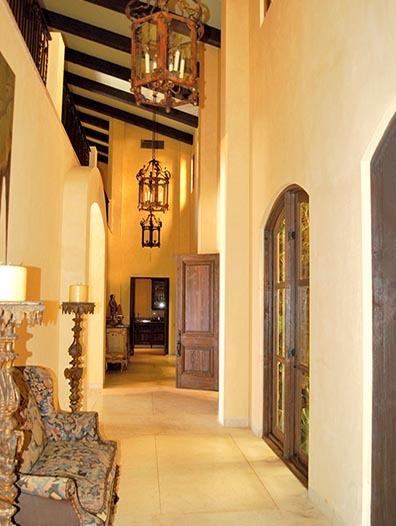 A couple years ago, we were invited to an evening open house and art show at Casa Ventana al Cielo, a beautiful contemporary home designed by Mexican architect Juan Alvarez del Castillo. I had written about it previously, so was excited to see it again at night in its full, illuminated glory. 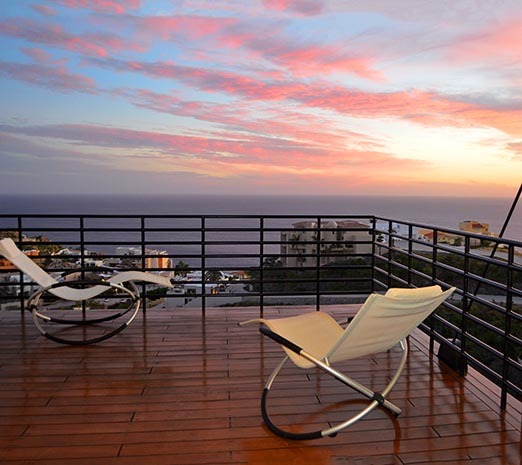 Aptly named “Window to the Sky” for its location high up on Pedregal mountain, the home is designed vertically on 5 levels to take full advantage of a narrow, steep building site. The views are amazing. I remember the house for a tree in the living room which extended into this space from the level below. 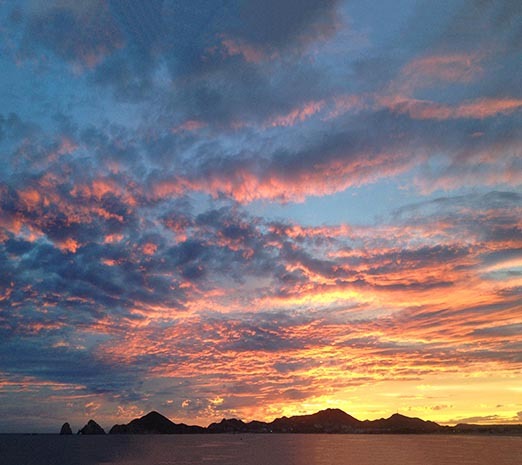 The evening of the party, we were treated to an incredible Cabo sunset. 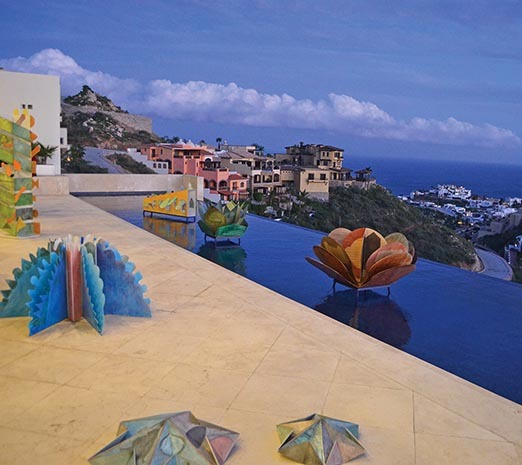 Geometric sculptures from the art show were scattered around the patio and floating in the infinity pool. As the sky over Land’s End changed from pink to orange to indigo, the sculptures took on a mysterious, other worldly quality, like beautiful space creatures and flowers. It was wonderful. 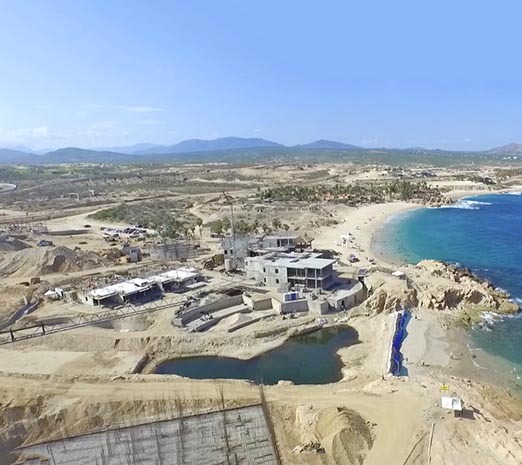 Also wonderful was watching first hand the development of Vievage, now Chileno Bay Resort & Residences, an Auberge resort at Chileno Bay on the Cabo corridor. We had been hired to make drone videos of the construction and did so regularly for over a year, beginning when it was just a pile of dirt with tractors. It was especially interesting to follow this progress from the air. 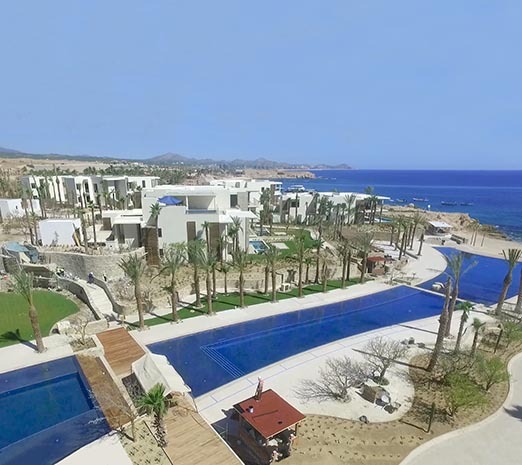 The high point for us was when the swimming pool was completed, transforming, seemingly overnight, from a deep trench into a spectacular blue sweep that bisected and flowed through the entire length of the development. Entirely different but just as memorable is Villa Morelia, an exuberant and playful tribute to traditional Mexican design with cupolas, boveda ceilings, bright colors, tiles and murals. 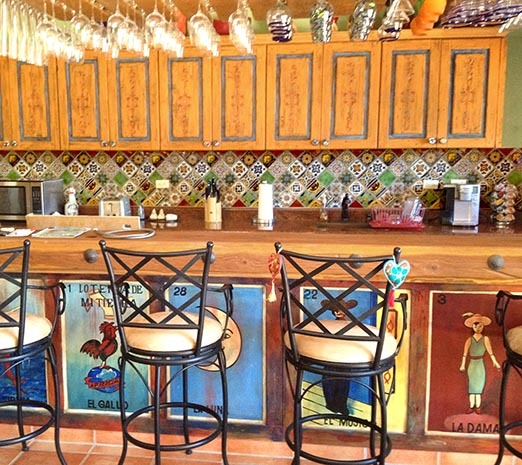 You have to appreciate the kitchen in a game room that has a colorful talavera tile back splash and a breakfast bar decorated with images from the Mexican loteria. Or the humor of an the outdoor shower head coming out of a mural of a Corona keg. 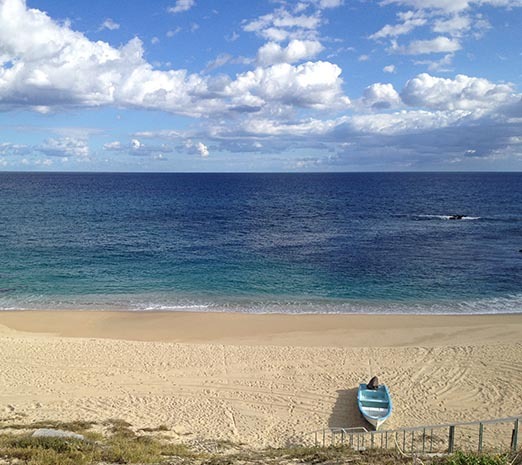 Finally, perhaps the most personal and profound experience for me was our time at a friend’s house at Las Barracas, East Cape. Work took us out there, and our friend said why don’t you stay at our place? A simple, beachfront compound with a stone, barrel shaped main house and a couple smaller buildings. It would be us, two dogs and a cat. There were no neighbors. We were to be completely off-grid, a new experience for us even though I have written about houses that are off the grid for this magazine. Our friend showed us how to read the batteries and what to do if we needed the generator, the best spot to drive to where we could get a cell phone signal and the last store on the way where we could get supplies. It was summer, and incredibly hot. The land was dry and scrubby and the water in the cove an intense turquoise with darker patterns from the reef. The ocean at East Cape is beautiful that way. 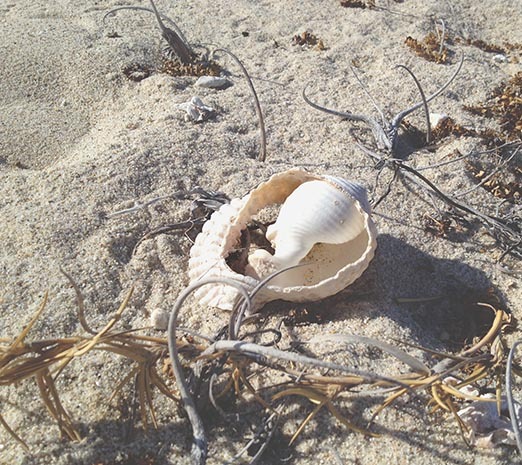 The sand was white and so clean and there were shells, something you don’t normally see on the other beaches in Cabo. We were part of the Cabo Pulmo National Marine Park, so I couldn’t take any shells to keep, a restriction I rather liked. In the afternoons it got so hot we couldn’t do any work. So I would walk the beach and look at the shells I couldn’t take and chase hermit crabs. In a weird way, I didn’t mind it being so hot. That night we gave up on having lights with our dinner. Running the fridge and charging all our camera batteries had sucked out most of the juice the solar panels made that day. That was fine by us. We could have used the generator for the A/C in the bedroom, but preferred a day bed on the covered terrace facing the ocean. We could look at the stars and listen to the surf. It was dark and elemental and still. We were awakened in the night by the sound of cow bells. 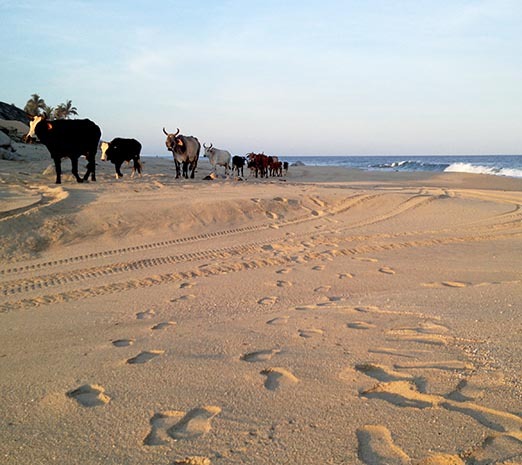 A herd had wandered in from the beach and were cutting across the property to get back to their farm, led home by some invisible cow herd. 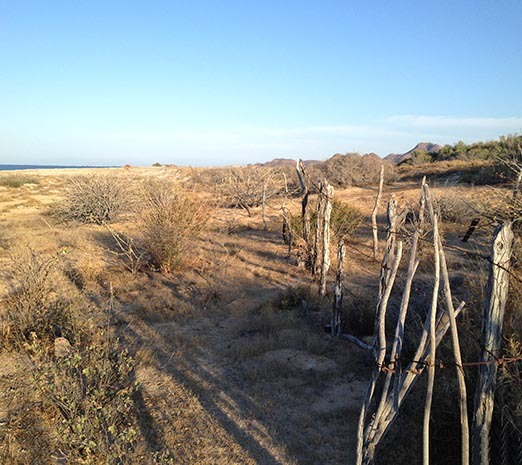 I love this part of Cabo, animals wandering in, nature asserting itself regardless. Cows crossing highways. Goats along roadsides. 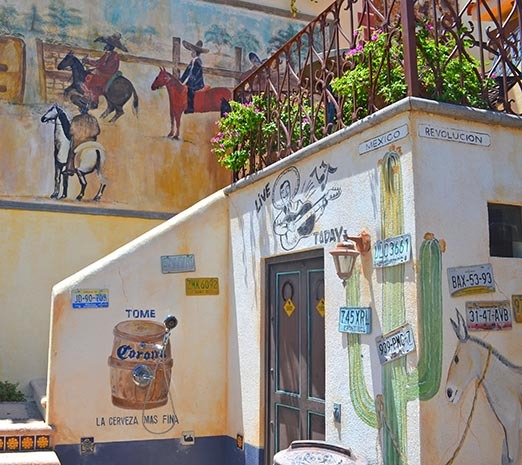 Wild burros among houses in Zacatitos. 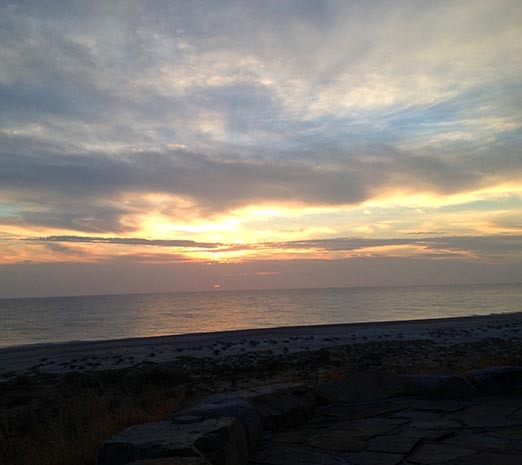 We woke up while it was still dark, in time to see to the most amazing sunrise over the water. When we left, we realized that we had been completely cut off from the rest of the world and hadn’t missed it. We worked hard, but it was so beautiful, being out in nature and watching it change through the course of the day. There was something meditative about the work and the heat and the simplicity. 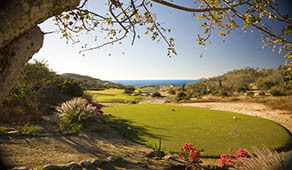 For some people, Cabo is love at first sight. They get off the plane or ship and that’s it, they know. 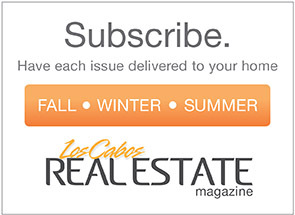 For us, it was a much slower process, a gift that came over time from producing the magazine. Perhaps that is the best kind of love, the kind that sneaks up on you but is steadfast and burns with a long, enduring flame.